Pinterest is by far the hottest site on the Internet at the moment. The site enjoys millions of visitors each week, sometimes more than one million in one day. It’s no surprise that Pinterest is as successful as it is. The site appeals to our visual side, both in terms of visual organization, and in being visually appealing. A collection of colorful and engaging pin boards is beautiful to behold and fun to browse. I know I’m preaching to the choir here. Artisans and crafty people were among the first to embrace Pinterest, even before it was cool. Here are a few pointers and Pinterest related tools for making your pinning even more useful and fun! This site offers a nifty little bookmarklet that works in the same way your Pinterest button on your bookmarks bar works. It’s a great way to remember pearls of wisdom from books, blogs, or your favorite daily email! I’m also noticing companies using this to spread things similar to press releases. We’ll see how it goes. It seems like the people who, in a previous life, wrote magazine and tv ads for a living, always mess up great sites. I hope they don’t overcommercialize Pinterest. As it is with every other social network, we can control who’s messages we see by choosing whom to follow. For anyone looking to see pictures of their products or from their blog go crazy on Pinterest, your follower count can make a real difference in getting that wave started. When exploring Kim’s Pinterest boards (linked to above under colorful and engaging!) I noticed that some boards have more followers than others. 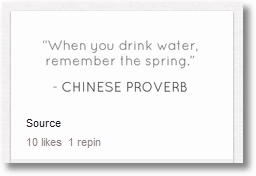 This is an important thing to know when pinning your images. If they fit more than one of your boards, it might make sense to start off with the board with the most followers. You can always go back later and pin it to another applicable board. Friendsheet is a Facebook connected app that presents your friends photos in a Pinterest-esque grid layout. IMHO, this idea is going to be very popular. Check it out. As Pinterest usage increases, I think lots of people are going to start finding it very useful for oranizing and bookmarking more than just great photos. In fact, more and more people are using Pinterest to keep track of videos they find useful. You can pin a YouTube video simply by clicking the same “Pin It” button in your bookmarks bar that you use now for your regular pins. If there is a YouTube video on the page, you can pin it. Pinterest has mentioned adding support for videos from other platforms, such as Vimeo, but I don’t think that is available yet. One of the ways to build up your Pinterest followers count is by sharing your stuff in other circles such as Facebook, Twitter, and your blog. Of course, sometimes the smart play for building business is to be where the people are. And for the time being, the people are at Pinterest.com in droves. 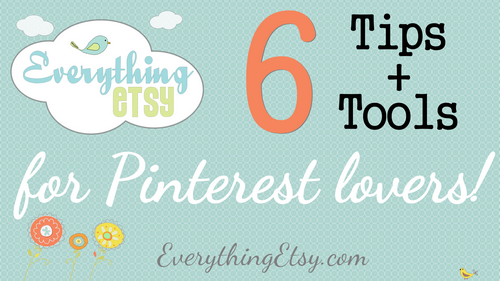 What Pinterest Tips do you have to share? How have you used Pinterest in your life? 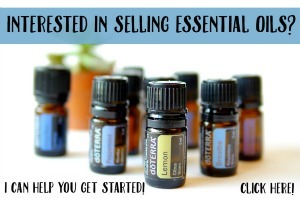 I would love to know how to add the pinterest buttons at the bottom of each of my post! Do you know how to do that? I’m Tim. Kim’s right-hand-man (and husband!). The way you do this is changing so fast it’s hard to give good instructions. They just changed the code that Pinterest gives you so I’ll be doing a new tutorial soon on how to do it as of today. These are great tips. Thanks for sharing. I will be implementing these tips! Great tips and advice here. Just another site to add to my daily routine of work and play!! Great tips and information about Pinerest. I love the site and use it daily. I am with you, I do worry about it becoming over commercialized. Ok I am totally grooving on Friendsheet. I had no clue and it is seriously sooo cool! TY. I would tell anyone on Etsy (and I have lots of friends selling jewelry on Etsy) to use google image search and make sure your products are correctly labeled. You could have something of yours pinned but not have it linked back to you then pinned 100s of times, and never really be able to get credit as the creator or be able to fix it. My friends have also had lots of their stuff pinned to DIY boards. So Pinterest, while amazing, does have its drawbacks – but if you’ve been following the news about Pinterest, then my comments are old news. I’ve heard from a few friends who are concerned about the Pinterest “controversy” and I understand the concern. However, I think the reality is that when you put something on the Internet, whether that’s on Pinterest, Facebook, your blog, or Etsy, it’s pretty easy for anyone to copy it. I just don’t see a way to 100% protect yourself from copies you “don’t get credit for”. But the good seems to far outweigh the bad. The best way to protect your images that I know if is to add your name right in the image. It’s very easy to add text over an image using image editing software or websites. 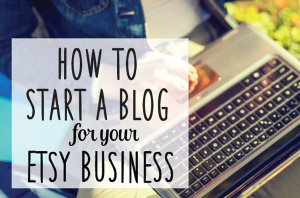 You can write your etsy shop address or your website. Even then it can be cropped out. 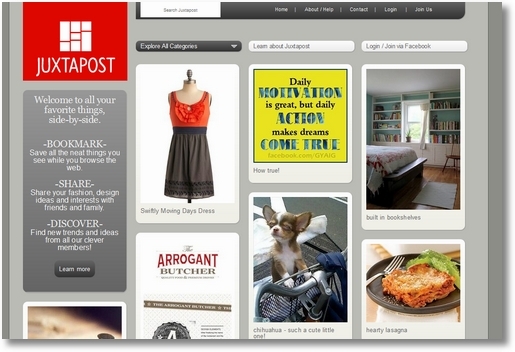 Tim made an image for our post on how to put a pinterest pin-it button on your blog. He custom created it from a blank white screen, so it’s 100% his work. It’s all over the place. On other blogs, on Pinterest, etc. And in lots of instances, the place where he wrote the website has been totally cropped out of the image! But the original image has been pinned 34,000 times! Maybe one day they’ll come-up with a better way, but for now I think it’s very worth it to allow your images to be pinned and to encourage it. I think I may not have conveyed what I was trying to say. Just be aware of where your images are and how they are being used – not just on Pinterest but in general because then you have a chance to correct the information in a comment or by repinning the image and editing in the correct info. It’s really Pinterest’s job to correct the flaws in their own system – they are now an enormous company and have the capability to do it. Also, I am on Pinterest and use it quite a bit to organize ideas, crafts, etc… The controversy I was referring to was Pinterest’s Terms of Service Agreement which we’ve all agreed to by being on Pinterest and it goes far beyond pinning without giving the correct source. I follow A LOT of blogs through my e-mail and I was originally (pre-pinterest) just dumping the stuff I liked into a future project e-mail folder. This caused two problems, 1) I quickly forgot about them and 2) there was no good way to sort them for future reference, oh and 3) it used up A LOT of space in my e-mail account. When I found Pinterest I started creating boards where I could easily categorize the posts I found in my e-mails. When I see a post I think will be useful (such as this one) I click the unique URL for the post and pin that post to one of my boards. Then I delete the e-mail. I’ve been able to refer back to my boards LOTS of times and it keeps my e-mail tidy. Oh and I just love it when I get e-mail updates from Pinterest telling me my pin was re-pinned 25 times! Now I’m just trying to go through my old Future Projects folder and pin all of those archives. I haven’t visited your site in a while. I think my subscription got lost in some some phone & computer changes. But after catching an email from you, I am reminded why I subscribed in the first place. It’s not just the awesome valuable content but it’s the way you get right to the point & i connect right to the links. No weeding through a lot ads or delays. Just click on the link & I’m there. So thank you for this fun & informative blog & your husbands added little ‘how to’ nuggets of computer wisdom. Lovin it all!! Tim, we have a new website called Pinstamatic (www.pinstamatic.com). It has a number of Pinterest tools including pinning “stickies”, website screenshots, Twitter profiles and calendar dates. Let us know what you think of the site and any new tools you’d like to see. Another idea to mark your photos, is to use a watermark. I don’t think they’re all that easy to remove and/or crop out.